This building was constructed in 1963 and is located at 3030 Pualei Circle. 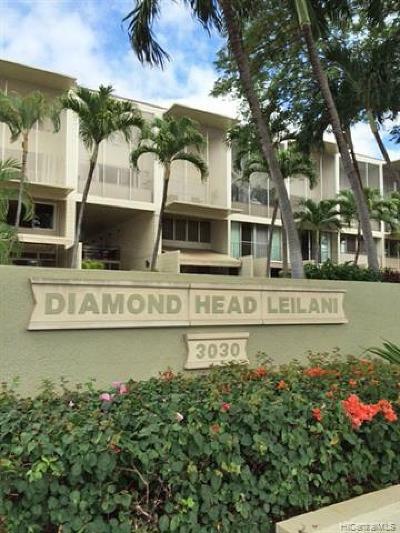 Diamond Head Leilani features one and two-bedroom condos. 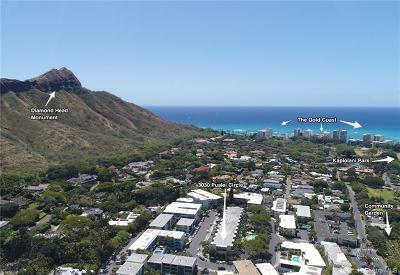 The one-bedroom units have 599 square feet interior and lanais ranging from 23 to 184 square feet. Two-bedroom floorplans range from 1,020 to 1,038 square feet interior plus 88 to 215 square feet on the lanai. 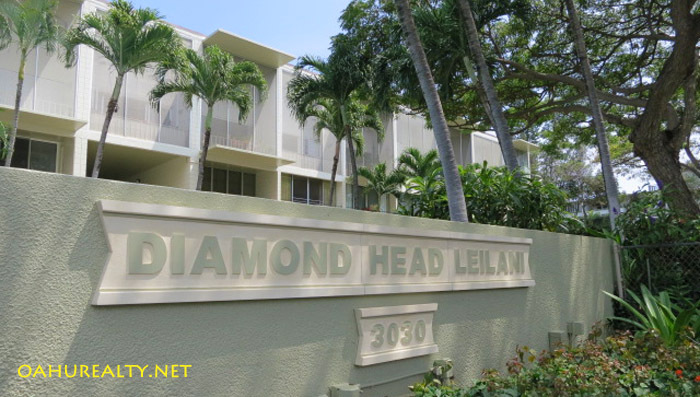 Diamond Head Leilani is a three-story walk up condo. The building doesn't have elevators. Amenities of the property include a swimming pool, barbecues and a community laundry. Note - most of the units have their own clothes washers and dryers. Residents may have two cats or one dog. The maximum allowed size for a dog is 21 inches from its shoulders to the ground. The property has parking at the lower side and at the upper side lots. Access to the building is via Leahi Avenue to Pualei Circle.